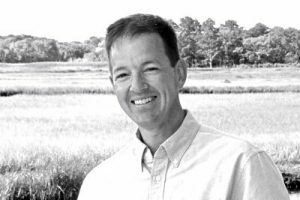 In order to accelerate and expand land conservation efforts in Harwich, the Trustees of the Harwich Conservation Trust hired Michael Lach as their first Executive Director. The position as well as successful plans for additional staff and office space resulted from a strategic planning process over several months during which the Trustees reviewed and refined their land protection and land stewardship goals. 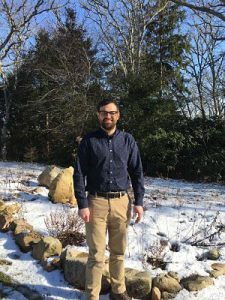 Lach, who had served over the past five years as the Trust’s Land Protection Specialist from The Compact of Cape Cod Conservation Trusts, Inc., was selected unanimously by the Board. Founded in 1986, The Compact is a regional land trust service center that helps to acquire, preserve, and manage open space across Cape Cod. Michael completed his undergraduate degree at Cornell University and graduate degree at the University of Massachusetts. He has also written environmental features for the The Cape Cod Chronicle and has contributed eco-travel articles to The Cape Cod Times. Michael has called Cape Cod home since 1976, and enjoys the outdoors with his kids. “Michael has proven his abilities to lead and get things done. He has been an integral part of our biggest land protection successes and formulated our Save Land-Save Water campaign. He accelerates our land protection efforts on a daily basis,” said Trust President and founding Trustee, Robert F. Smith. “Having been raised on the Cape, seeing the landscape changes over the past 30 years, and now raising my kids here, gives me profound motivation for making a difference,” said Lach. Like many people who relocate to the Cape, Jane visited as a child, with early memories running deep. She spent summers in Cotuit with her family, renting a house thereafter until 2005. After her sons, Ryan, 24, and Christopher, 23, went to college, she decided to sell her now-too-big house in Holliston and move here permanently. 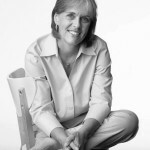 After leading fundraising and development with the Natick Organic Community Farm and with the Barnstable Land trust, it was important to Jane that she stay connected with the land. The position with HCT as Director of Development was just what she was looking for. HCT’s mission of “preserving woods, water, wildlife, and our shared quality of life” is one that Jane whole-heartedly supports. She is passionate about saving special places, and we are thrilled to welcome her to work in this beautiful community. Tyler Maikath grew up on Cape, in Mashpee, and developed an interest in conservation from a young age. As a child, he and his family visited state and national parks. Later on, with friends and as a Boy Scout, he went on camping, hiking and rafting trips, eventually discovering the White Mountains, a lifelong love. At the University of Rhode Island, Tyler studied Wildlife and Conservation Biology, and developed an interest in birds, their natural histories and conservation. After graduation, Tyler worked a variety of seasonal positions focused primarily on seabird and shorebird conservation with Mass Audubon’s Coastal Waterbird Program and Mass Wildlife’s Buzzards Bay Tern Restoration Project. Tyler also took the time to travel the United States and lived in Georgia for a time. In 2009, Tyler moved to Keene, NH to study for his master’s in Environmental Studies at Antioch University New England. During his graduate program, he participated in forest ecology research on Mt. Monadnock, interned at the Vermont Center for Eco-studies, and worked as a seasonal field assistant searching for Prairie Warbler nests in the Montague Sandplains. Afterwards, Tyler was selected by Greater Worcester Land Trust (GWLT) as their Mass-LIFT AmeriCorps Land Steward. Serving a year at GWLT, he stayed on for several years as GWLT’s Conservation Stewardship Coordinator. He particularly enjoyed working with volunteers on conservation land monitoring and stewardship projects. In 2014, he returned to Cape Cod and worked several different jobs before finding his way back to the land trust community, where his true passions are. 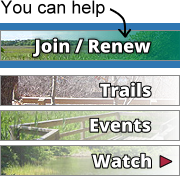 He is very excited to be working for Harwich Conservation Trust and Dennis Conservation Trust in this newly created position, to steward and advocate for our invaluable and fragile conservation lands. He has many interests in his free time, but is often found hiking, running, and at concerts. Originally from Massachusetts, Alva grew up in Braintree and Weymouth. She also lived in Framingham for a time, but has called Cape Cod home since 1996. Her professional career included working at construction firms, real estate companies, and with the Barnstable Medical Corps through the Mature Workers Program of Elder Services of Cape Cod and the Islands. Since 2012, Alva has undertaken diverse office management responsibilities for HCT including database entry, answering phone calls, registering guests for events, and many other critical tasks. She loves living and working in Harwich. “It’s idyllic, quaint, quiet and yet also busy with lots going on amidst so many friendly people. There are plenty of bike trails and walking paths along with all kinds of festive events throughout the year,” remarked Alva.